RESET! Free Beech Nut Baby Food Pouches w/ Coupon! Yay! I was able to print this coupon again just now. Hurry and print this coupon because it never lasts long. 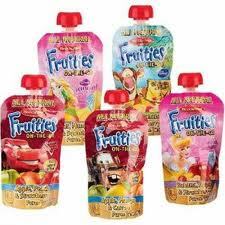 The Fruities pouches cost $0.98 at Walmart, so free after coupon! Boo. No longer available. DARN!